The road to Skycoin’s 2019 triple mainnet was paved during a strong February, with new software releases of Skycoin Core (v0.21.1) and CX (0.6.0 and 0.6.1) and the imminent launch of Skywire mainnet. The quality of Skyfleet community content was just as strong, with the launch of the fantastic new site SKYFUD and a host of new video reviews. Turn up your engines and read on, Skyfleet! As mentioned previously, mainnet will be deployed in stages as the various components are implemented, tested and integrated. The first stage of mainnet is a developer-oriented software release. It continues to run over the internet, with proxy functionality. This will be followed by Coin Hour bank, then CoinJoin and a full bandwidth-sharing marketplace. The first stage of the hardware mainnet launch is on low-bandwidth radio links. In time this will transition to motorized antennas that have GPS and incline measurements as hardware development continues. Skybian is the Skycoin-designed Debian-based operating system image for mainnet Skyminer nodes. The first release candidate of Skybian can be accessed here. Version 0.25.1 of Skycoin Core and Wallet was released. This version includes a range of technical additions, fixes and changes. Now all options of a cli command must only use — prefix instead of a mix of — and — prefixes. — prefix is only allowed when using shorthand notation. CX development continues at a strong pace. Version 0.6.1 was released, which includes support for lexical scoping as well as library improvements. A host of issues including compilation errors were resolved. The CX programming handbook was also updated to reflect these changes. Synth reported that parabolic antenna simulation for 2.4 ghz was completed. This is another milestone along the way to rolling out our DIY antenna kits that will allow people to construct the hardware for Skywire’s wireless mesh network. 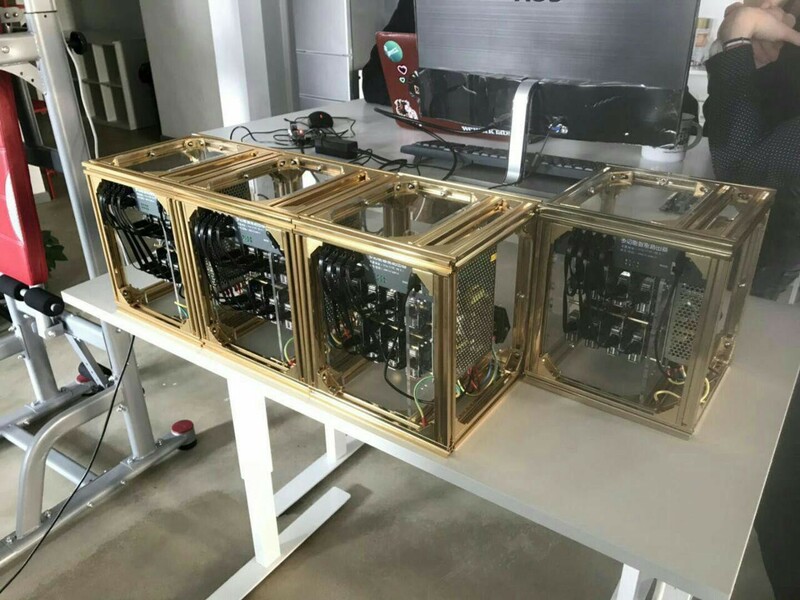 We also saw more images from the Skycoin Hardware Incubator including gold-plated Skyminers. Firmware for the Skywallet and Ledger Nano S support are a continued focus of developer efforts. 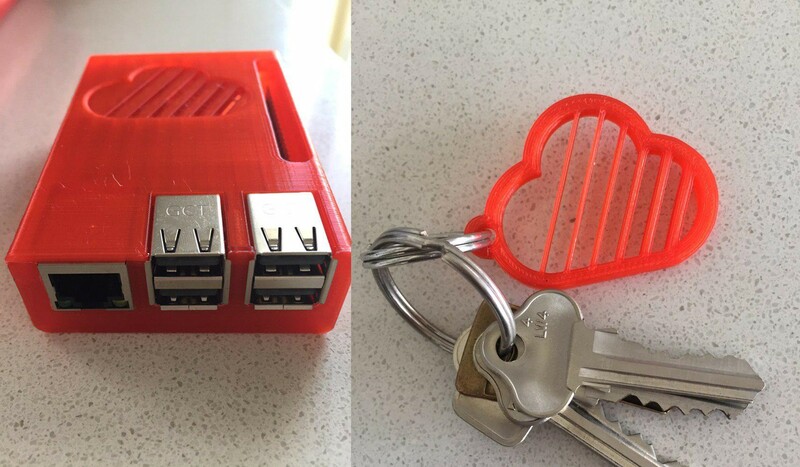 These will be released for public use when we are confident that they provide the highest grade security storage for your Skycoins. The Future is Now — Malta Blockchain Summit teaser, a video documentary of last years highly successful conference was posted. It features Skycoin Lead Dev Synth talking about the blockchain industry, including his trademark honesty. A must watch! There were some sort teaser videos of Skycoin’s daily transaction potential, enabled by its highly intuitive, easy to use moblie wallet. Check out Skycoin payments made simple with Skycoin mobile and Paying with Skycoin. We also saw a fantastic Skyminer promotion video in Let’s Build the New World Together . 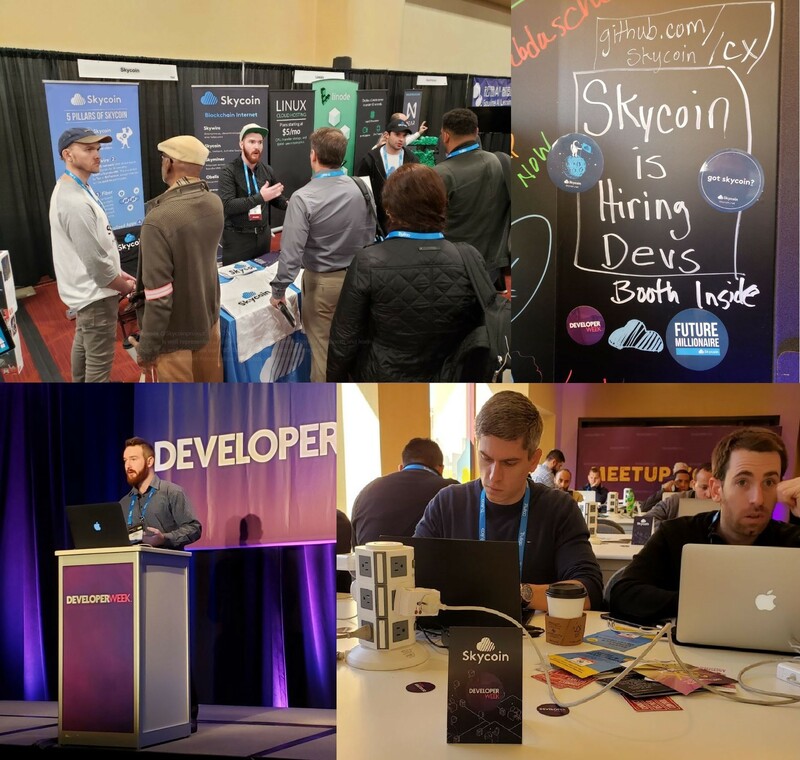 Daken and MacSkyver repped Skycoin at the San Francisco Developer Week. As usual, Skycoin was the center of attention with the Skyminer and other hardware devices. Check out a great a video summary of the event! Hashoshi published one of the best community video reviews to date, called Skycoin Review (Skycoin 2019 — Ethereum Developer’s Review! 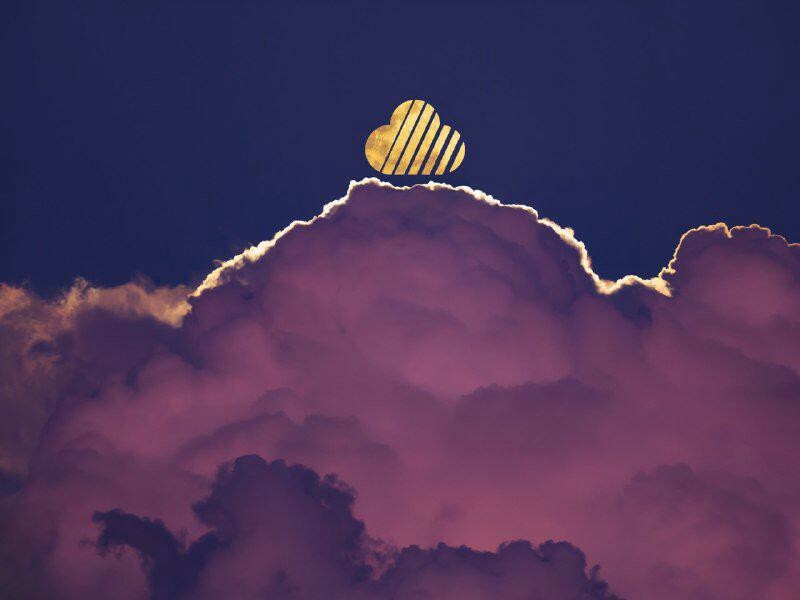 ).Altcoinbuzz released 10 Skycoin Facts! The Good, the Bad and The Ugly. Journey to 100k made a solid Skycoin Review. Jordan Heal from Coin Rivet did an excellent summary A beginners guide to Skycoin and Decentralized internet. Misinformation surrounding Skycoin is rife, but cutting through the noise has become much easier thanks to an incredibly high quality website curated by Skyfleet member Casino. SKYFUD! Clearly debunks much of the fear, uncertainty and doubt surrounding Skycoin. Understanding legitimate versus unfounded criticism is essential for due diligence and proper research, so jump on and start reading! The site also is a great archive of Skycoin resources with articles, videos, and images from the project. In addition to his work on SkyFUD, Casino also released two great articles ‘Skycoin Skyfleet” and ‘Why every blockchain platform needs Skycoin.’ The community thanks you Marco! CryptoDiscipulus ran a fascinating piece called ‘BTCPay Server, Skywire and the quest for censorship-resistance.’ It explores a very strong use case for Skywire providing a censorship-resistant platform for decentralized payment processors to be built. “Skywire has the potential to greatly amplify the censorship-resistance of decentralized payment processors like BTCPayServer.” writes CryptoDiscipulus. Macskyver wrote ‘CX: the Solidity Killer’, which explains the design of Skycoin’s programming language and offers insight into its potential for blockchain-based applications. Lawrence Qholloi dropped an excellent piece looking at the troubled African country of Zimbabwe, and ruminating about the possibilities that a censorship-resistant internet like Skywire could have enabled for combating tyranny and maintaining freedom in that country. MacSkyver produced his consistently high quality video re-cap of the January update. He was joined by CryptoRich, a prominent friend of the project, who did his own video review of the Jan update. Great work guys! MacSkyver, in conjunction with several other Skyfleet members, have launched the Skycoin Rewards Program (SRP) designed to tease out the creative potential of the Skyfleet community through Skycoin giveaways. Read how the program works here. Great work to all who have gotten involved so far. You, too, can join the list of high quality community contributors listed above! 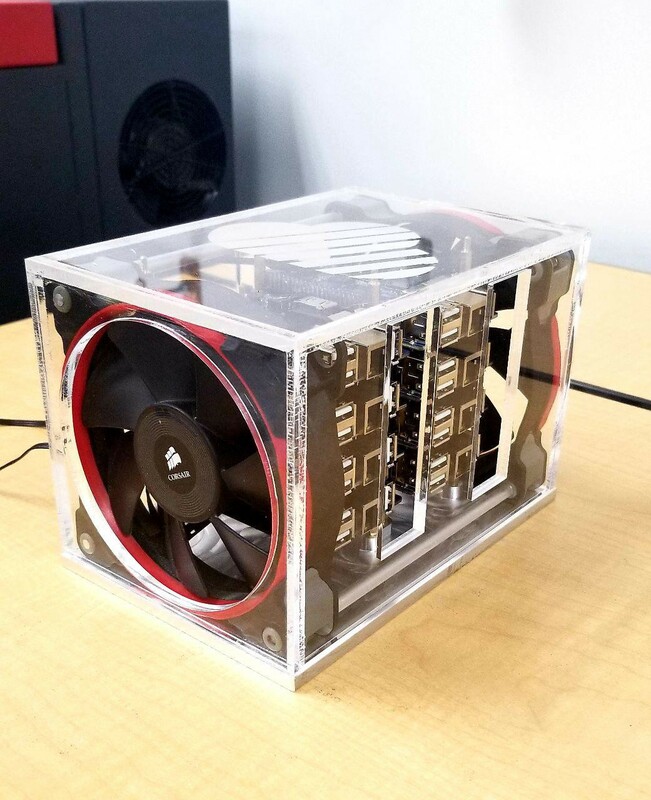 We also continue to be amazed by the innovative DIY miners, including this impressive perspex build with engraved Skycoin logo and dual cooling fans. The Skycoin Wiki continues to need love, attention and contribution. If you are looking to help out the Skycoin project but don’t know how, start by writing some basic articles for the Wiki. Sign up to contribute here. Community members have been relentless in raising awareness of Skycoin through an urban sticker campaign. 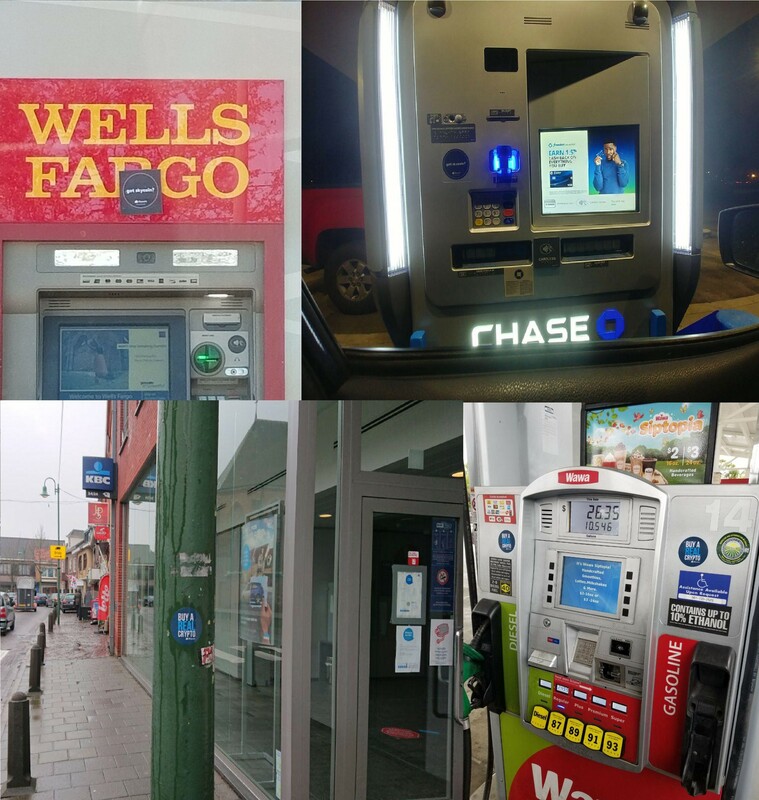 Skycoin stickers are now visible throughout the major metropolitan areas of the world. Contact Daken directly on Telegram or post in the Sticker Blast Telegram group to get involved! And that’s a wrap of the Skycoin development from February. Fantastic work to all community members and developers who worked so hard throughout the month. Stay tuned as we continue this exciting progress into March. Onwards and upwards Skyfleet! Check our BlockDelta corporate profile for additional articles/updates.